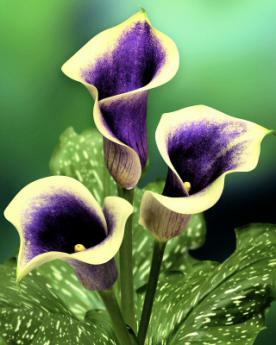 Also known as the Calla Lily, plant Zantedeschia in a sheltered part of the garden and protect against severe frost. Excellent for a cool greenhouse using a mixture of loam, sharp sand and leafmould; grow in a temperature of 60 degrees Fahrenheit. Flowers June to September.